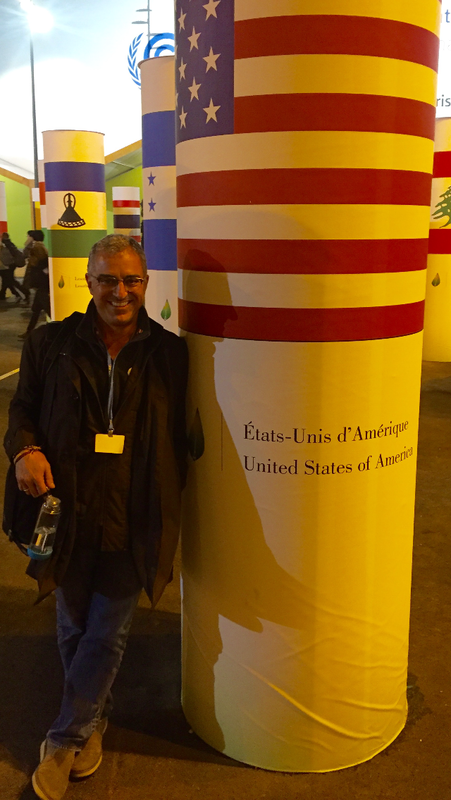 Here’s a link to my final story of COP21 in Paris, a story that literally fell into my lap and came together quickly shortly after the final draft of the Paris Agreement was released but before it was unanimously ratified. Rosalind Reeve, the main source, came into the Bloomberg/BNA office where I was working to rave about the forest inclusion for the first time. Dean Scott was only marginally interested. But I knew it was a mongabay.com story and she was only too happy to talk and talk. A few more sources later, and I had what I needed. Internet connections were so jammed I bolted back to my apartment in the city to write. This entry was posted in Environment and tagged Chris Meyer, Climate change, COP21, EDF, forests, global warming, Paris Agreement, Rosalind Reeve on December 13, 2015 by Justin Catanoso. There was slim hope that UN delegates at COP21 outiside Paris, France, would reach an unprecedented accord by today’s 6 p.m. deadline. It would have taken 186 countries agreeing to reduce their carbon emissions, and a whole host of other thorny issues. That hope was dashed early in the day, when the French hosts said the next draft, and possibly the final draft, will be released around 9 a.m. Saturday, Dec. 12, 2015. My two friends, who have covered multiple COPs, are climate change reporters for Bloomberg/BNA — Dean Scott on the left, Eric J. Lyman on the right. Generally, there is a good deal of optimism about the draft released last night, though developing countries are worried that the language on adaptation, and the money available for them to fight the ravages of global warming, falls far should of what’s needed. The cap refers to how much temperatures can rise between 1900 to 2100 to avoid the worst impacts of global warming. The earth has already warmed 1 degree C (1.8 F) and impacts are felt dramatically in all corners of the globe. Drought. Sea-level rise. Intense storms. Melting ice caps. The world is hoping there is something to truly celebrate. This entry was posted in Environment on December 11, 2015 by Justin Catanoso. Here’s the summary of mongabay.com story on a significant advancement in making the policy REDD+ work as a tool between countries to keep critical tropical forests intact. 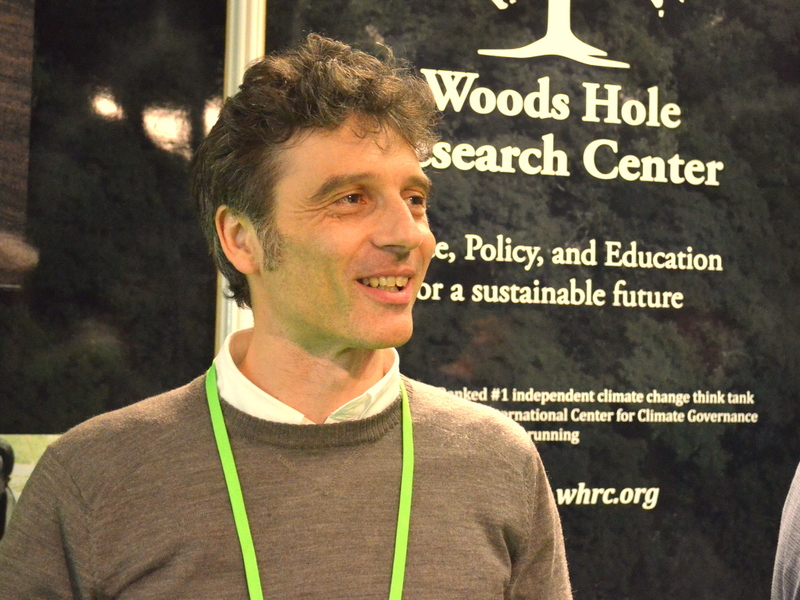 Much credit goes to remote sensing scientist Alessandro Baccini at Woods Hole Research Center. 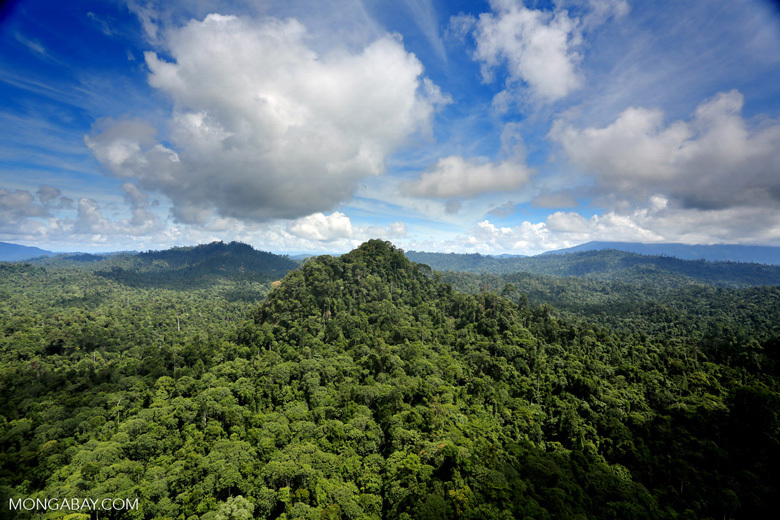 Critics have long argued that the inability of satellites to track deforestation with precision created a loophole that could allow tropical countries to cheat regarding their annual deforestation rates. Past satellite imaging systems could not resolve objects smaller than 500 meters (1,640 feet) across. A new system developed by Alessandro Baccini and his Woods Hole, Massachusetts, research team can see objects just 30 meters (98 feet) across. Satellite imaging, combined with imaging from airplanes, along with ground-truthing will help make observation of tropical deforestation rates and carbon offsets far more precise in real time, preventing cheating and under reporting. This entry was posted in Environment and tagged Alessandro Baccini, Carnegie Airborne Observatory, Climate change, COP21, global warming, Greg Asner, Paris, REDD, remote sensing, Standford, Woods Hole Research Center on December 11, 2015 by Justin Catanoso. Intro as read by State of Things host Frank Stasio: “”Ice caps are melting, ocean levels are rising and coral reefs are dying. The way things are going, some scientists say the world could be unfit for human habitation by the end of century. 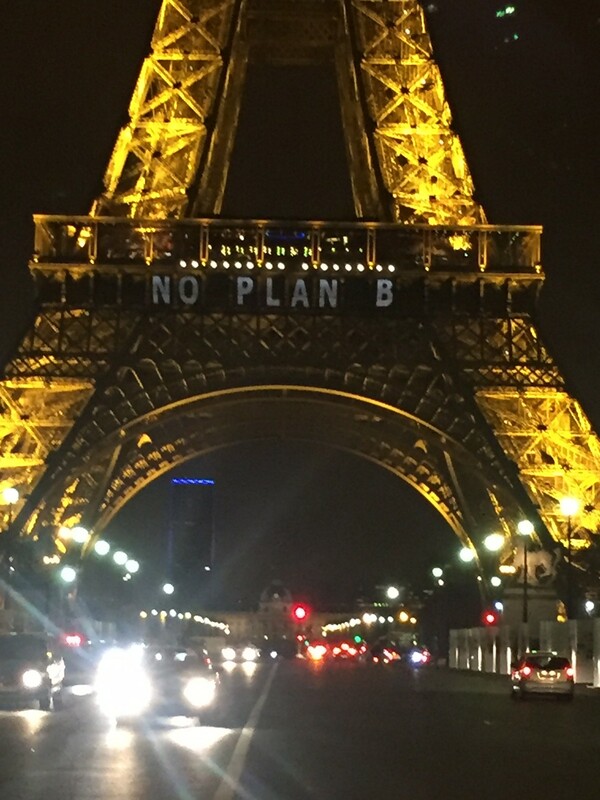 All eyes are on Paris right now as world leaders are negotiating an agreement to slow the effects of climate change. A deal is expected by tomorrow, but there are still big issues to resolve between the industrialized and developing nations. The plan will likely include more renewable energy like solar, a topic of debate in North Carolina. 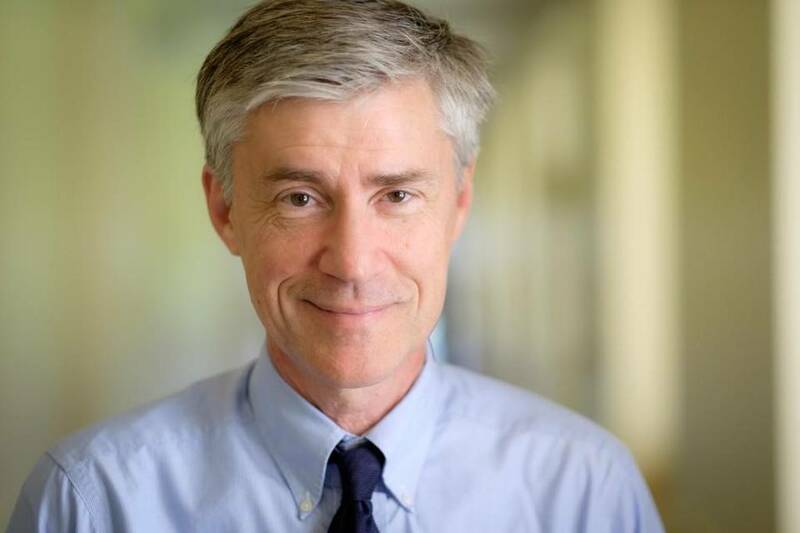 Host Frank Stasio talks with Justin Catanoso, director of the journalism program at Wake Forest University, about the latest in Paris and a potential impact in North Carolina. To listen to the 11-minute interview, click here. This entry was posted in Environment, Radio and tagged Climate change, COP21, Frank Stasio, global warming, Justin Catnaoso, North Carolina, North Carolina Public Radio, Paris, State of Things, UN climate summit, WUNC on December 10, 2015 by Justin Catanoso. The interview went well. But the story grew far more interesting as I learned more about the world of contradictions that are Norway and climate policy. When you’re awash in oil money — oil burned elsewhere and contributing greatly to CO2 emissions — suddenly Pharo can be cast in a slightly different light. Influential, yes. Generous, absolutely. But with hands slightly soiled with oil profits. The story is here, perhaps my best of a busy week. Thanks to Glenn Scherer at mongabay.com for some amazing deadline editing and packaging. This entry was posted in Environment and tagged Climate change, COP21, Nobel Peace Prize, Nordic, Norway, Paris, Per Pharo, REDD, Samantha Smith, Sharan Burrow, Statoil on December 9, 2015 by Justin Catanoso. 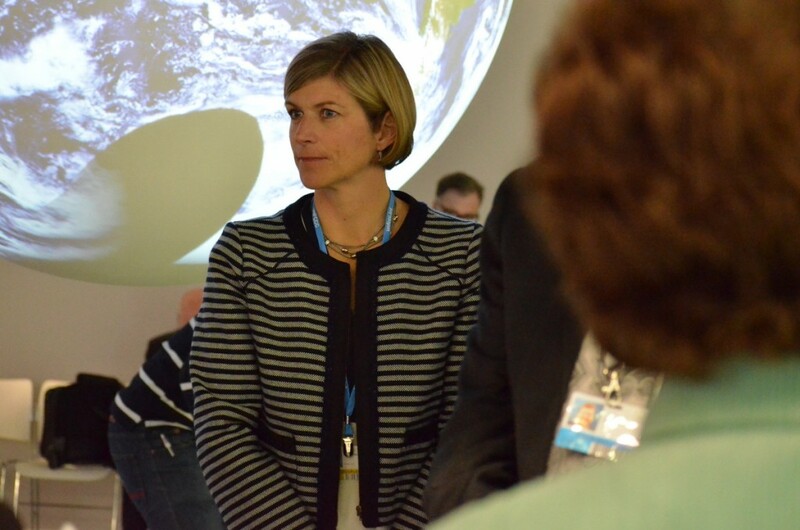 Environment UN climate talks update from Paris: 2 degrees C by 2100, or 1.5 to stay alive? A fuller treatment of this story was published on mongabay.com here. 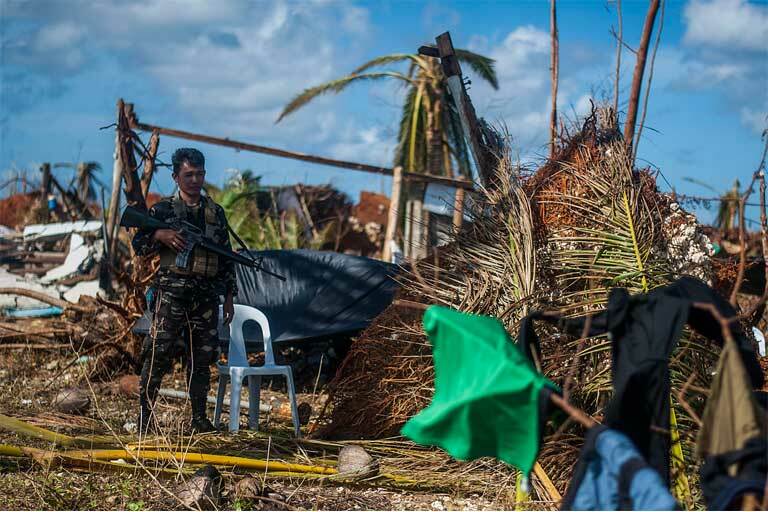 A Filipino marine stands guard at the village of Guiuan in the aftermath of Super Typhoon Haiyan. Photo by Mass Communication Specialist Seaman Liam Kennedy courtesy of the U.S. Navy. The UN climate summit is entering its final 48 hours of negotiations, and U.S. Secretary of State John Kerry, in a packed press conference, today (Dec. 9, 2015) promised an unprecedented agreement. Some 186 countries will agree, to some voluntary extent, to reduce their carbon emissions in order to hold global warming from pre-industrial times to below an increase of 2 degree C by 2100. 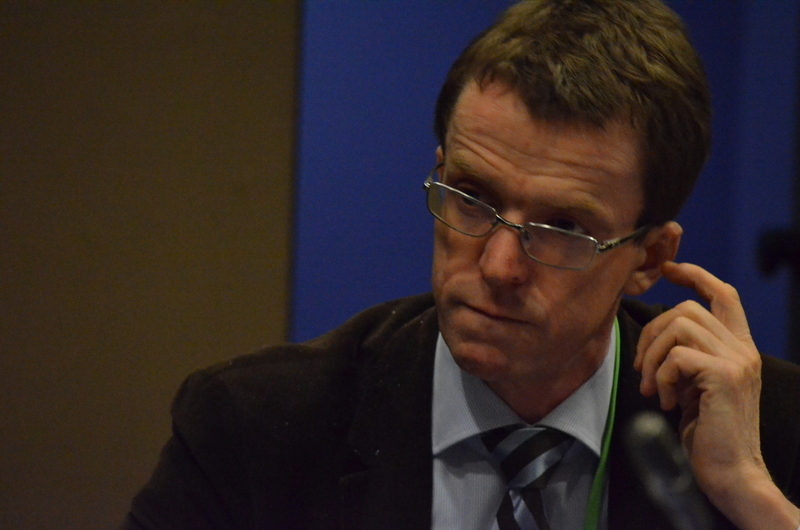 A group of 20 countries which call themselves the Climate Vulnerable Forum — think Seycelles, Maldives, the Marshall islands — are making the most noise for language in the text to hold global warming to a 1.5 degree C rise instead of 2 degrees C. The forum is chaired by the president of the Philippines, which has been hit by three of the strongest typhoons in its history in the past three years. Already the language in the final text appears to be fluid. Where it used to say “2 degree C,” there are now options such as “below 2 degrees C” or “far below 2 degrees C” or “between 1.5 and 2 degrees C.” Few will predict where the language will land. 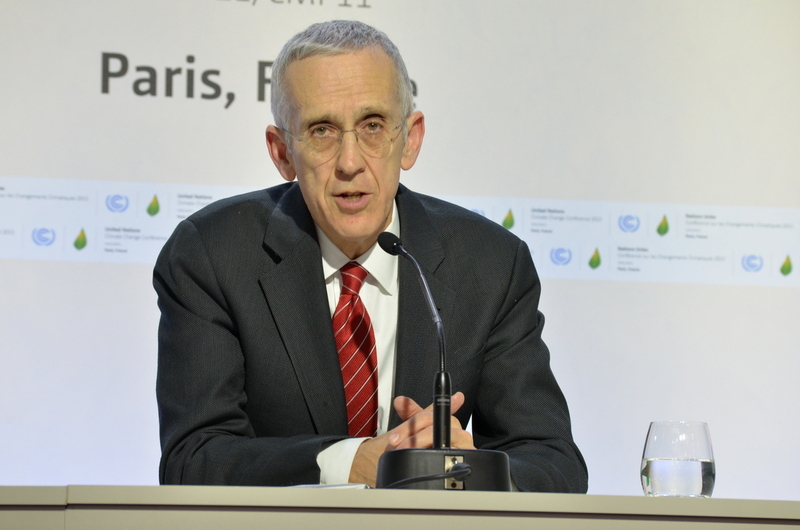 There’s just one problem, said Alden Meyer of the Union of Concerned Scientists. If the world could somehow magically stop burning fossil fuels tomorrow, the damage baked into the climate already is leading global warming to at least another 1.3-degree rise by 2100. Since that’s not going to happen, a target of 1.5 degree C may simply be unrealistic, Meyer said. 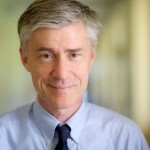 This entry was posted in Environment and tagged 1.5 to stay alive, Alden Meyer, climate talks, Climate Vulnerable Forum, COP21, global warming, John Kerry, John Knox, Paris on December 9, 2015 by Justin Catanoso. Excerpt: It is with a palpable sense of embarrassment that Letitia Webster of VF Corp. shares such information about North Carolina reneging on its green energy commitments with other top U.S. business leaders who, for the first time, have shown up in force at a UN climate summit. Each is pushing in Paris for an unprecedented global accord in which all 196 nations represented at the summit voluntarily reduce their carbon emissions to try to stave off the predicted worst effects of climate change by 2100. Full story here. This entry was posted in Environment and tagged Climate change, COP21, Facebook, global warming, Letitia Webster, Mars, Paris, VF Corp. The North Face on December 9, 2015 by Justin Catanoso. Link to the fuller Mongabay.com story is here. You take your opportunities where you can get them. 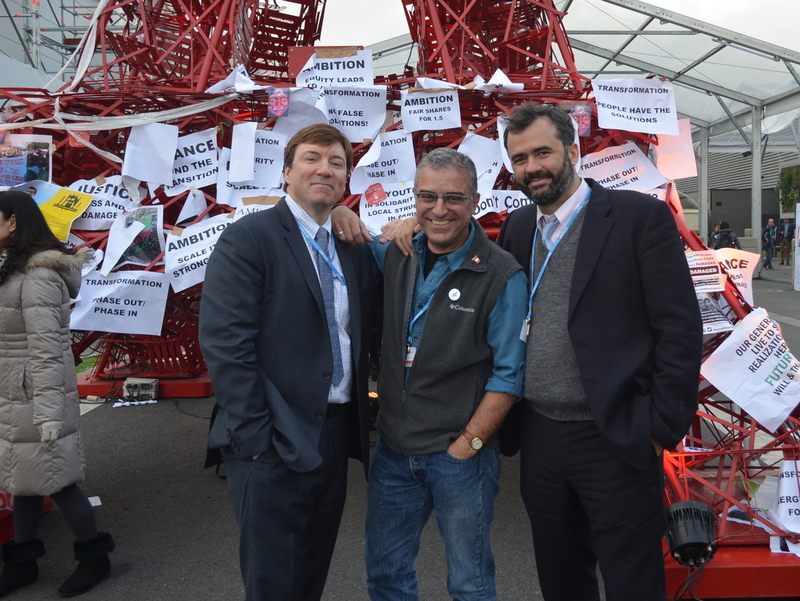 I have been in email contact with Marcus Wandinger (left, above), a member of the Holy See Delegation to COP 21, for two days. This morning, he put me in a position to meet the cardinal Pope Francis put in charge of researching and writing Laudato Si, On Care of Our Common Home, the widely influential papal encyclical on environmental protection. I managed to wrangle a 15-minute interview. It will factor into a larger story I will write for mongabay.com, but here’s an excerpt. Cardinal Peter Turkson of Ghana told me about how the Vatican and Catholic delegates have been fanning out around the world to educate bishops, seminaries and parish priests on the encyclical, and how to teach it to their followers. Asked where he is getting push back, he didn’t hesitate: “Your country, the United States. 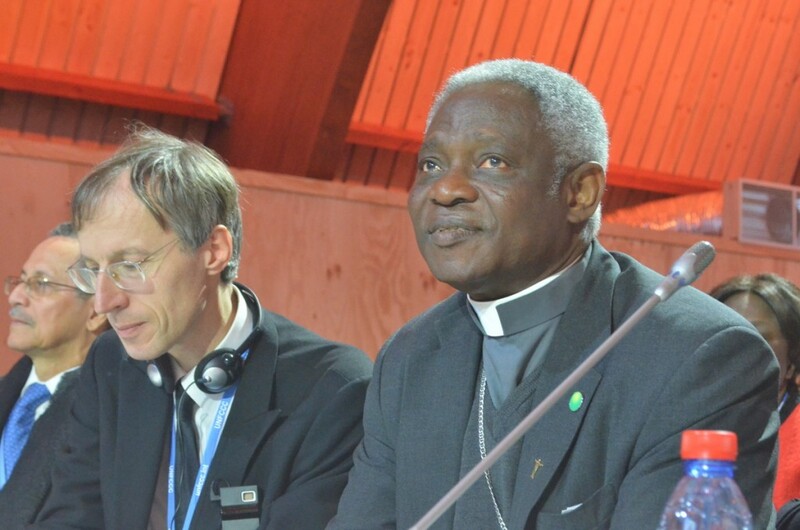 This entry was posted in Environment and tagged Cardinal Turkson, Climate change, COP21, Laudato Si, papal encyclical, Paris, Pope Francis, Vatican on December 8, 2015 by Justin Catanoso. 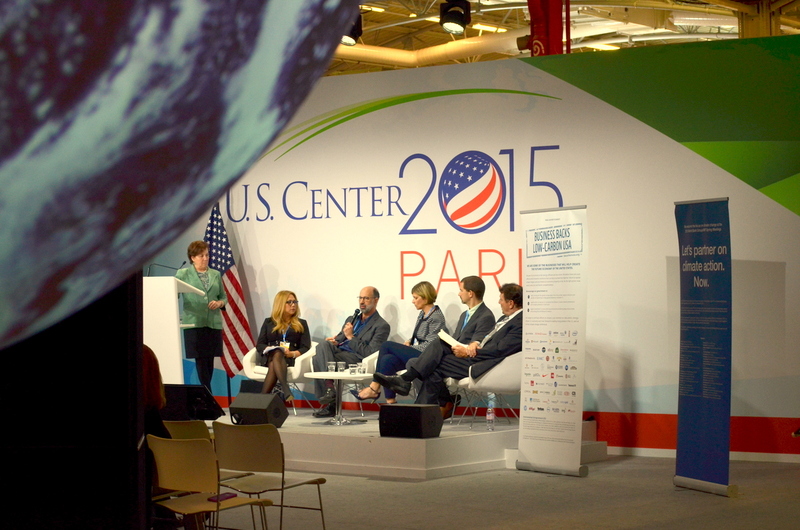 Todd Stern is President Obama’s top adviser on climate the and U.S.’s leadneogiator at COP21. Photo by Justin Catanoso. Todd Stern has one difficult job. As President Obama’s top adviser on climate change, and the lead negotiator for the U.S. during the last seven UN climate summits, he is either marked as hero or villain, depending on what part of the world you’re from. Yes, he represents the richest country on earth, one which could do more to alleviate the early ravages of climate changes in various parts of the globe. But it’s actually doing less than Norway. As a leader in the world’s lone superpower, he could exercise more influence on the proposed accord any time he chooses. But he knows that’s a sucker’s game, and never yields desirable outcomes. Today he reminded the world’s media that the pledges of 196 countries to reduce their carbon emissions are just that — pledges, promises, not legally binding. Countries can renege, cheat or simply ignore what they said they would do. But for the world’s largest countries, the U.S. among them, transparency will be binding: strict inventories of emissions, clear reporting on actions, always open to outside review. The same strict rules will not, he said, apply to developing countries who simply don’t have the tools for such accounting. But they will be nudged in that direction, with great assistance. In a world that suffers gravely from a lack of trust, that notion of trust that Stern describes might just end up saving the planet in the long run. This entry was posted in Environment and tagged Climate change, COP21, global warming, Norway, Paris, Todd Stern, United States on December 7, 2015 by Justin Catanoso.